One of our local TV news programs did a segment on how burglars choose their victims and what they're looking for during a burglary. They showed part of a video made by police in which they show homes in the aftermath of break-ins and interview convicted burglars currently in prison. The convicts talk about what people are doing wrong. It was informative...and oddly enough, entertaining. The TV segment ended with some recommendations from the pros (and by pros I mean criminals). Home security systems are advised--but even they can backfire. 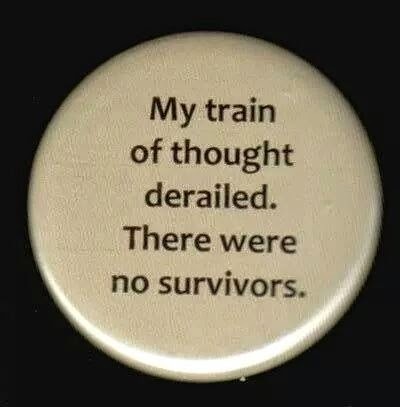 An author friend of mine had one. She accidentally set off the silent alarm one day, and she and her grandmother were in the kitchen when the police burst in, guns drawn. "Yeah, I always take Grandma along on all my heists," she told them. And the huge dog water bowl I bought with KILLER painted on it won't actually scare anybody away? Recommendation: get a deadbolt. Got one. Not that it would do much good. Anyone wanting to break in would only have to break the living room window and reach inside to unlock it. Of course, if I'm inside, I'm going to chop their hand off. I almost did that once, years ago. I was a teenager, my parents were both at work, and a nutty gal from down the street thought she was going to force her way in. She did a lot of screaming when that big knife came down hard on her arm! Fortunately, we now live on a courtyard and a large number of the neighbors have dogs. 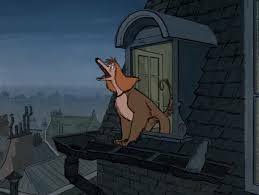 When they get started barking, it reminds me of the Twilight Bark from 101 Dalmatians. They're a better early warning system than NORAD. Recommendation: hide your valuables. What? You're not supposed to sit them out on display on the dining room table with a TAKE ME sign? From the looks of the crime scene photos shown, the thieves didn't mind making the effort to find the good stuff. The reporter doing the story also recommended a number of websites where one can upload photos of their valuables so that, in the event of a burglary, police will have a photographic file of all of your property. At first, that seemed like a good idea. But on the same broadcast, there was a story about another massive computer hacking. I'm picturing a group of burglars hacking into one of those sites, checking out all the merchandise. It would be like an online shopping site for customers who don't plan to pay for anything. The resulting crime rate would be almost as high as it is on Craigslist! Would you like to borrow Fiona? I have to go now because it sounds like she may have nabbed someone. She could probably terrorize anybody! 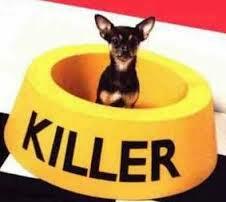 Barking dogs are a very good deterrent of the criminal set! Yeah, putting pix of all your valuables online seems like tempting fate! Lucky we don't have that much a thief might want! I do have a photo file of all of our devices, TVs and other valuables--but it's on a memory card along with scans of all important documents, safely stored in our safe deposit box. Hair Bair sounds vicious. Especially when he barks and claws at the sliding door. The funny thing is that small dogs usually bark more than big ones. Amazing. Sad too, that we have to worry of such things. I can't afford a security system. I do have deadbolts, but as you say, all they have to do is break a window. Usually they go on to someone dumb enough to leave the door unlocked. I can remember the days when it was safe to leave our doors unlocked. I wish we still could. Please handle all criminals with kid gloves. That way we won't hurt anyone's feelings. I feel perhaps we have taken a stance on letting people destroy things and break into homes because they are disadvantaged or some such thing. 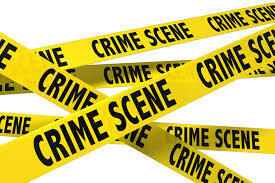 No good can come from treating criminal activity like it is a political statement. In the meantime, I wouldn't break in if you have minions defending you. What really bugs me is the cases in which someone breaks into a home, the homeowner shoots them--and the burglar sues for damages. I've said this before--our justice system is a bad joke. Timely post, Norma! Until a D.E.A. we know offered to house-sit for us while we're gone July/Aug., I worried about a robbery -- not that there's anything valuable to steal; still, it's ours -- as we were robbed in Hawaii. They cut thru the security alarm system and banged in the kitchen door. It's horrible to come home and find stuff everywhere!! I couldn't agree more with your comment about not harming the thief! And, it's like you have a crystal ball, Norma. Coulda knocked me over with a feather when I read your comment. Thru an odd series of events (always is, isn't it? ), "Kermit" could lead to a children's story. Possibility expanding daily. Wheee! And many MANY thanks for your support in so many ways. You're a super great gal! Thanks, Kittie! I think Kermit could be a series. I shared a Facebook post regarding owning (and using guns). A Facebook friend commented that he just couldn't get on board with the idea of owning a gun. I wondered if he'd feel the same way if his family were to end up victims of a home invasion. What valuables? My computer is nearly 10 years old, I don't have a smart phone, my Tv is about 18 years old, and our furniture needs to be sent to the dump. Anyone come to rob us might place a twenty down on the table and leave. Maybe they'll go steal something and give it to you. We used to have an old car--I called it Orca because it was a whale--that looked so bad and was such a lemon (the engine once fell out at an intersection), I told Mom the guys stealing cars in our neighborhood would end up giving us one.